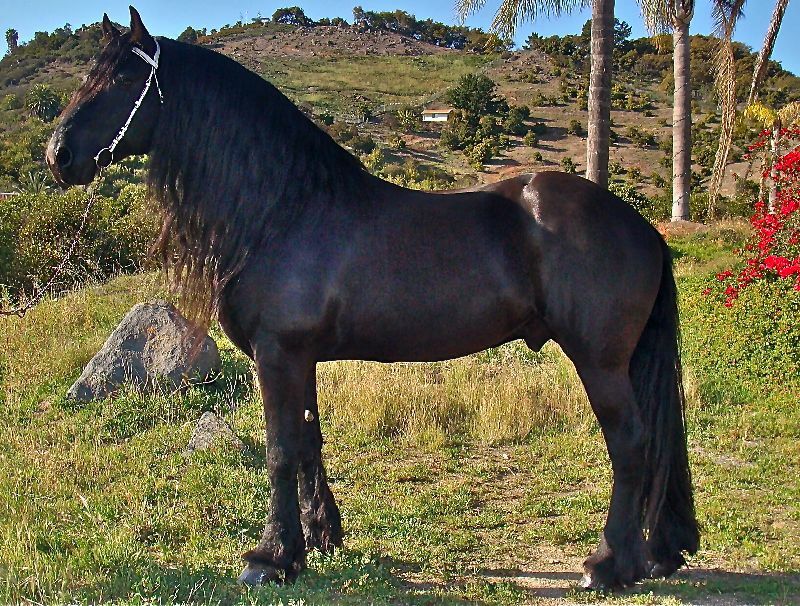 Ben Amos will characteristically pass on the big, more long strided, elastic dressage movement that his sire “Sjaard” is well known for! 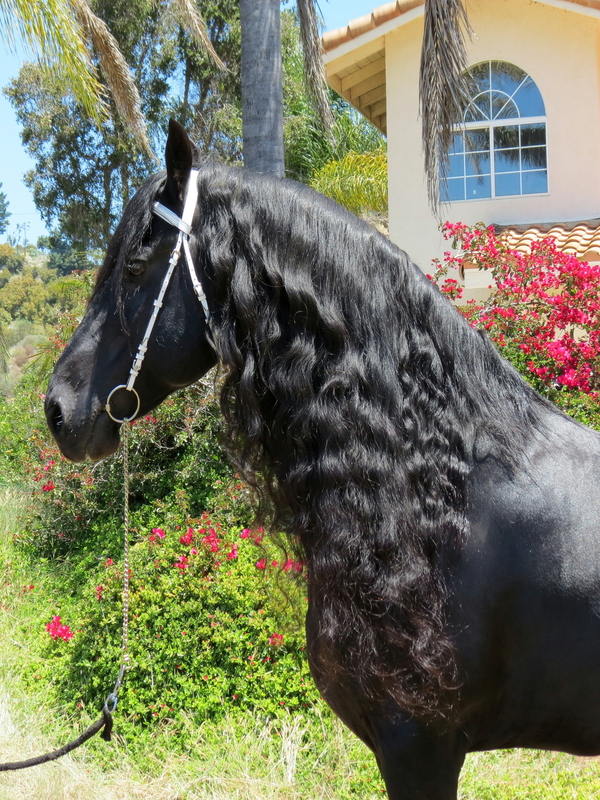 From his damline’s sire Jurjen, Ben derrives his amazing, gracious personality and all of his beautiful hair! 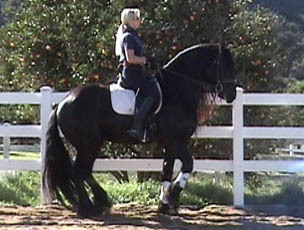 Ben Amos is the private stallion of Tanja Ehrhardt at Windermere Farms. 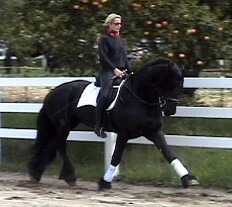 He has never been a sale horse, nor has he been shown anywhere. 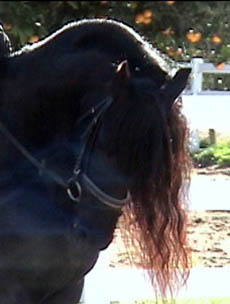 This is the reason why despite Ben’s high dressage training level, his stunning presence and his long residence at Windermere Farms, only very few photographs of Ben exist. Here is – for the first time – your chance to breed to Ben Amos and produce your own Ben! 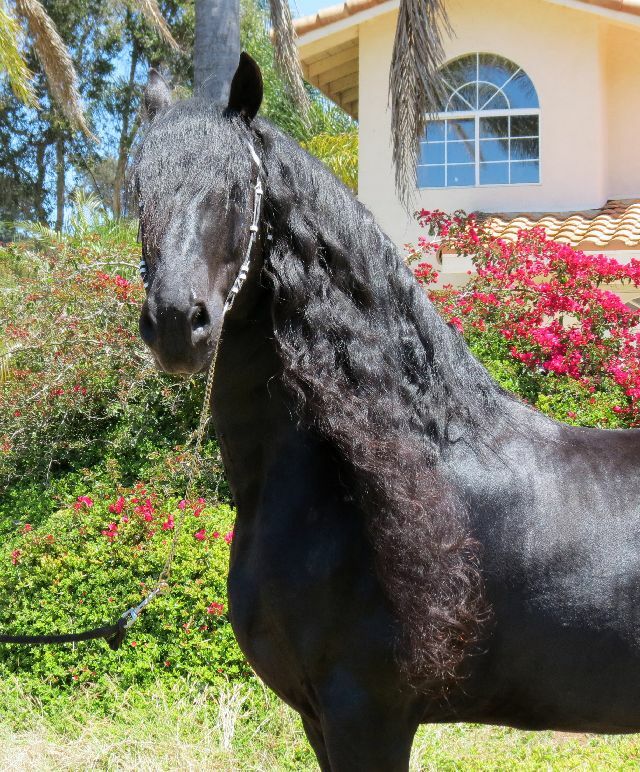 We can truthfully say that the combination of beauty, personality and dressage ability that Ben Amos offers, is so far unsurpassed in Windermere Farm’s Friesian history! 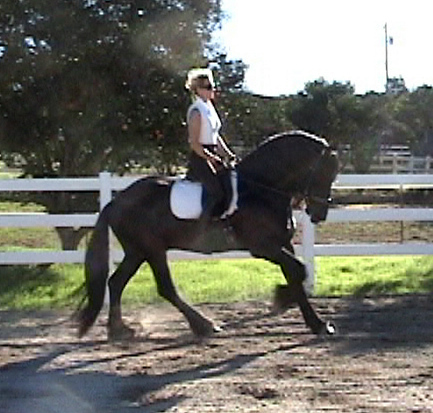 This is the very reason why Ben Amos has been our resident stallion at Windermere Farms for many years now.